After a busy, stressful week in the city, there’s nothing like escaping to the luxury Mount Grace Country House and Spa in Magaliesburg, for a bit of rest and relaxation! Nestled between rolling hills and lush vegetation, the luxury hotel is surrounded by the peaceful sounds of nature- and offers guests everything they could want to really enjoy the weekend away. 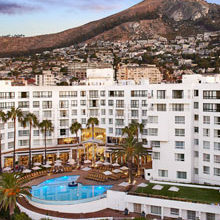 The hotel has 121 rooms, ranging from standard rooms to luxury rooms. And the good news is, they all come complete with under-floor heating, satellite TV and delightful bathrobes you can wear all weekend! However, if it’s a special occasion and you really want to spoil yourself and your partner, family members or friends, consider staying in a luxury villa, that’s complete with its own private plunge pool and outdoor loungers, plus a fully-stocked mini bar, delightful coffee machine, private lounge and enormous king-size bed. Did we mention how stunning the bathrooms are? You’ll feel like a queen soaking the stress away in your royal bathtub! If you’re after a pampering break, spoil yourself with a massage and relaxed morning at the hotel’s award-winning spa. 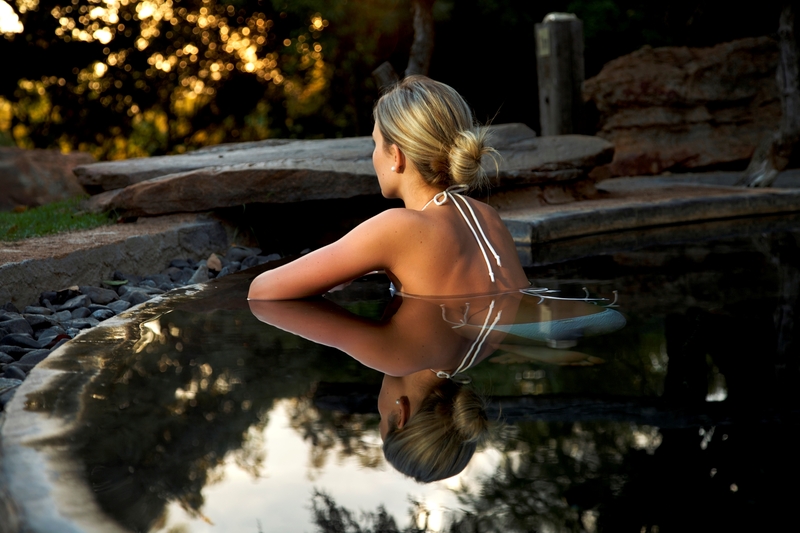 Besides its spectacular views and tranquil atmosphere, the spa also offers a floatation pool, outdoor heated Jacuzzi and inviting dining area where you can sit with a book and read while enjoying their light meals. 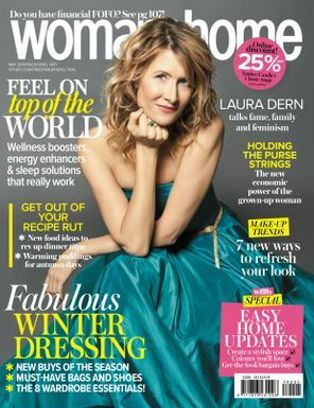 Massages are also a must – as the professional masseuses really know how to melt away your stress in 60 minutes or less! Our recommendation? A soothing Aromatherapy massage or a 75-minute deluxe spa pedicure. 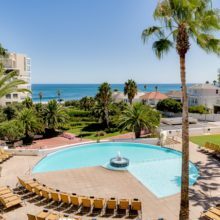 For the outdoor enthusiasts, there’s fabulous walking/hiking trails, mountain biking (you can rent a mountain bike), tennis courts and an outdoor heated swimming pool. Reward all that walking with a delicious lunch or dinner at the Twist, the Spa Café or the deluxe Rambling Vine for a true fine dining experience. If you’re in the mood for a truly memorable dining experience, the Rambling Vine is snug and stylish. The fireplace and cosy chairs allow you to settle in for the night, while the waiters attend to your every need. Meat lovers will be spoiled for choice with Fillet of Beef Medallions, Springbok Loin or Roasted Pork Belly – served with a warm apple compote and fondant potatoes. Lighter dishes include Norwegian salmon with risotto or tender chicken fillets in a port wine glaze. (The food is seasonal and specials change often, so be sure to ask your waiter for the specials of the week.) Finish off with their famous Dark Chocolate Espresso Mousse or their classic Strawberry and White Chocolate Cheesecake. 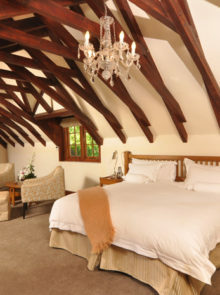 For more information on seasonal deals and specials, or to book your stay, call 014 577 5600 or email [email protected]. Looking for something a little off the beaten track? 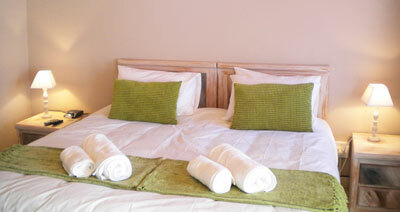 Then check into one of the charming, self-catering cottages at Strandveld Vineyards. Curl up with that special someone in the glow of a roaring fire with a glass of Strandveld’s finest wine in hand. This country destination is a true escape from city life, with the closest town over 30km away. Take a slow drive to Struisbaai for sundowners at Bella Luna. Perfectly positioned on the beachfront, this unassuming Italian restaurant is popular for its great tasting pizzas and pastas. To find out more about Bella Luna, call 028 435 7240. 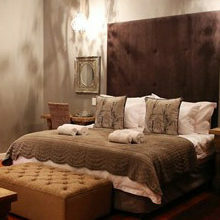 Let the jewel of the Free State be your hosts for a night or two and check into Studio 28 for a relaxed break. With the town’s biting chill, you’ll relish being able to climb into your warm, fluffy bed after a long day of travelling. Studio 28’s self-catering apartments are close to the town’s square and offer easy access to all that this small town has to offer. 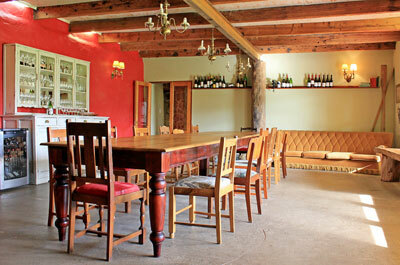 Clarens have a variety of restaurants to satisfy any appetite. Grab a table at the quaint Bon Appetit café for a selection of cakes and yummy pastries. The Roter Hahn restaurant boasts a brilliant German menu. To find out more, you can call the Bon Appetit café on 079 873 1318, or the Roter Hahn restaurant on 058 256 1888. Visit www.studio28clarens.co.za or call 079 873 1318. 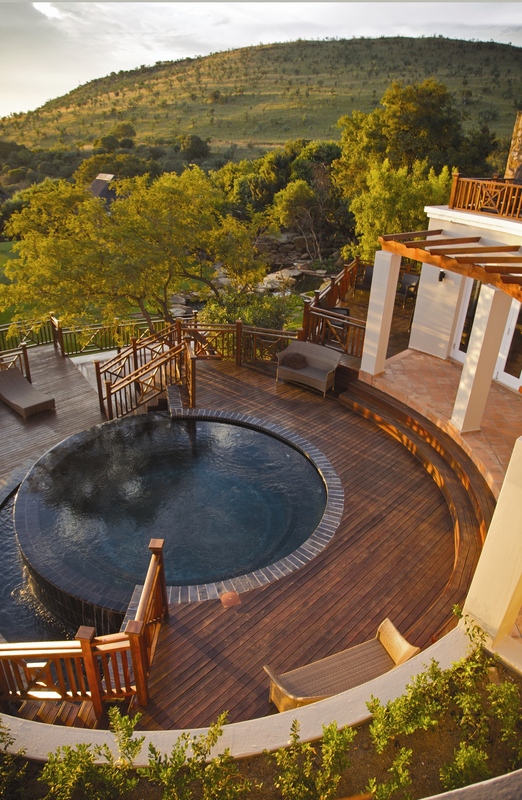 Hidden away at the foot of the Spektakelberg mountain is the spellbinding Naries Namakwa Retreat. This Northern Cape retreat has three types of accommodation, but for the ultimate luxe experience we recommend the Mountain Suites. 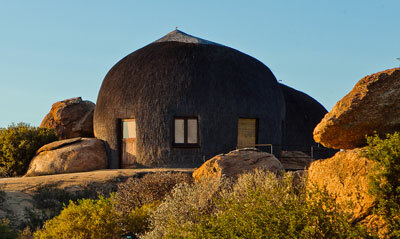 Step out onto your private patio and soak up the breathtaking views of the Namaqualand scenery. If you want to take in more of what this unspoilt vista has to offer, then chat to the Naries reservations desk about booking a wild flower tour. Between the months of August and October, the Namaqualand is transformed as over 4 000 species of wild flowers cover the landscape in a carpet of exquisite colours and textures. 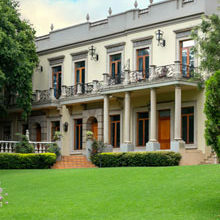 Visit www.naries.co.za or call 021 872 0398. Tucked away on the Garden Route is the Phantom River View. 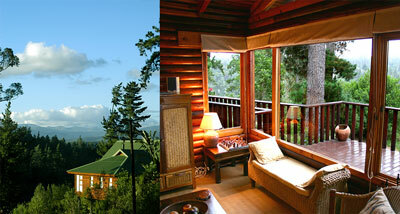 Its three luxuriously-equipped cabins offer whimsical seclusion and creature comforts for the perfect weekend escape. With lush furnishings and comfy couches, each room is a great place to break out the board games for night of family fun in front of the fire. Each cabin is equipped with a great little kitchen and braai area to rustle up your own fab winter fare, but if you’re looking for a break from the ‘what’s for dinner?’ question then take a drive into town and try Chatters Bistro for some great comfort food. 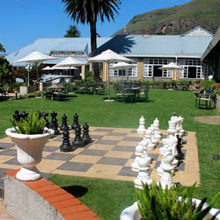 For more info, visit www.chattersbistro.co.za or call 044 382 0203. See phantomriverview.co.za or call 083 268 9113.